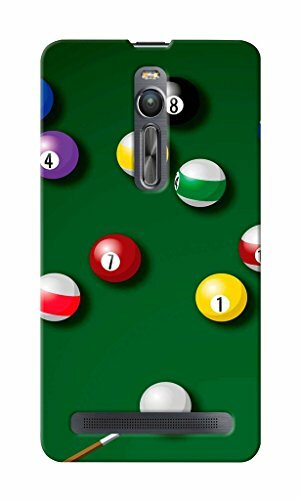 CimaCase Pool Balls Designer 3D Printed Case Cover For Asus Zenfone 2@349 Rs [Mrp:-1499] - Onlinedeals.discount - A leading product discovery website. Find the true prices of products, read reviews and buy top brand products at reasonable prices. Protect your phone in style with this 3D designer case cover. This durable & awesomly designed cover fits perfectly on your phone providing complete protection from dust,scratches, stains and other damages on its back & sides. The case is manufactured & designed with extreme precision to give you easy access to all the buttons & ports. Our mobile covers are light in weight, easy to install & do not require you to replace the orginial cover of your mobile. Now, don’t just carry your mobile with you, carry your style as well ! !